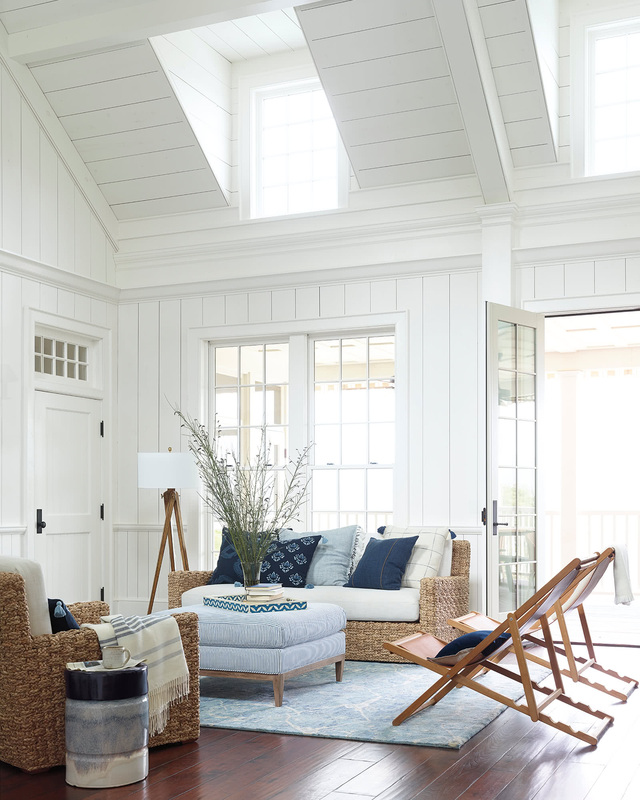 Costa SofaCosta Sofa, alt="Costa Sofa, "
Print With its coastal air, this is one of our favorite designs. 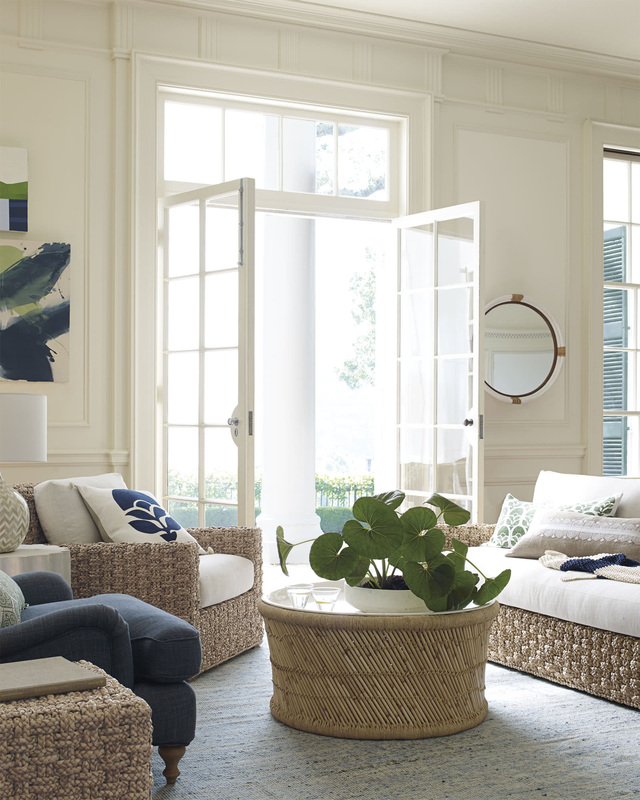 The look was inspired by 40s-era French furniture, when the use of woven natural materials was de rigueur. 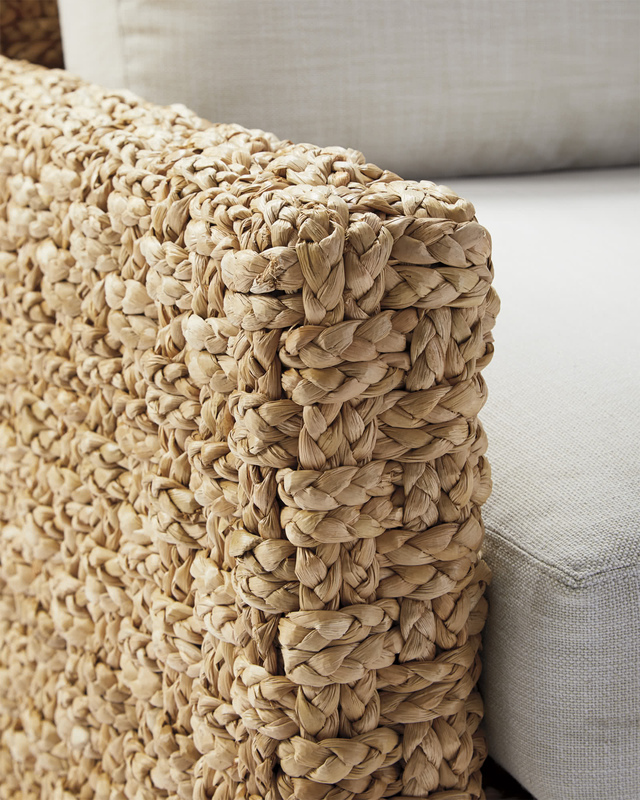 Chunky hand-braided water hyacinth brings fantastic texture, and the squared-off silhouette keeps things simple. 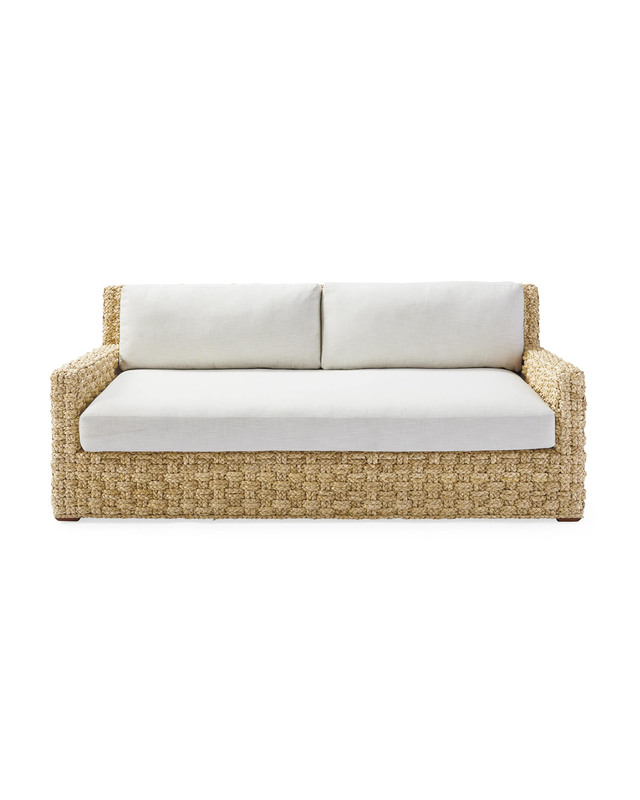 The padded cushion adds casual comfort and comes in a weather-friendly fabric, so you can lounge indoors or out. Hand-braided water hyacinth woven over a wood frame. 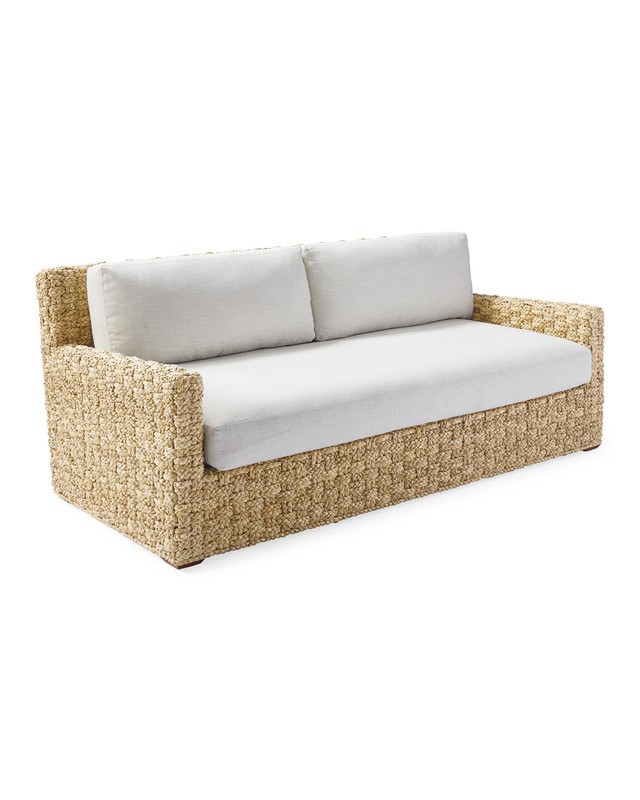 Cushions are slipcovered in Perennials® Performance Basketweave Chalk Fabric, designed to resist UV radiation, mold, mildew, and staining. Padding made with down-wrapped poly. Frame is imported. Cushions are made in the USA. 81”W x 39”D x 32.5” H overall.